With the Live Composer Woocommerce Integration", you can build a custom WooCommerce website from scratch using drag and drop page builder. You should gradually improve your product and checkout page designs to get maximum conversion. Now you don’t need to ask a developer to make changes for you. Improve your designs every week based on your analytics. 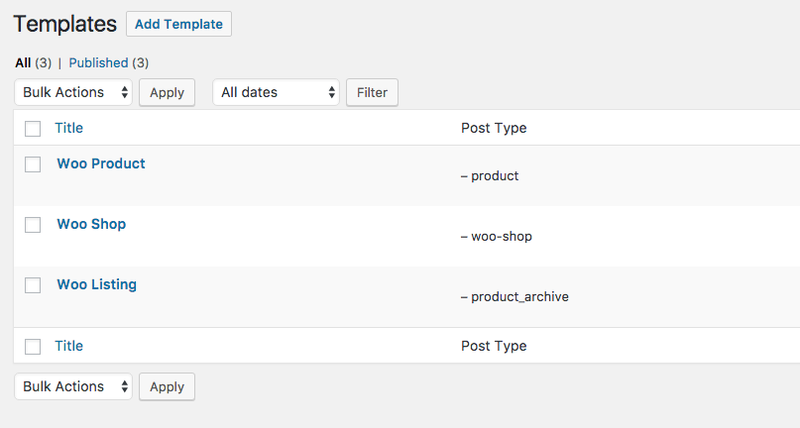 Save your time and money with our drag and drop page builder for WooCommerce. The extension needs to be installed and activated like any other plugin, on WP Admin > Plugins. If the extension will be installed but not activated, on WP Admin > Live Composer > Woocommerce will have a notice regarding the activation, like in the above image. 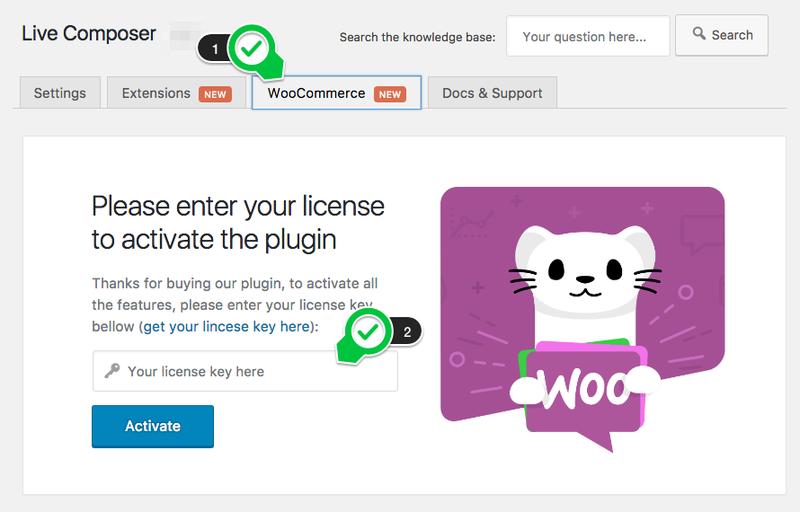 The plugin license can be added to WP Admin > Live Composer > WooCommerce. The license expires after one year from purchase. However, you will still use the plugins but you cannot get the updates. 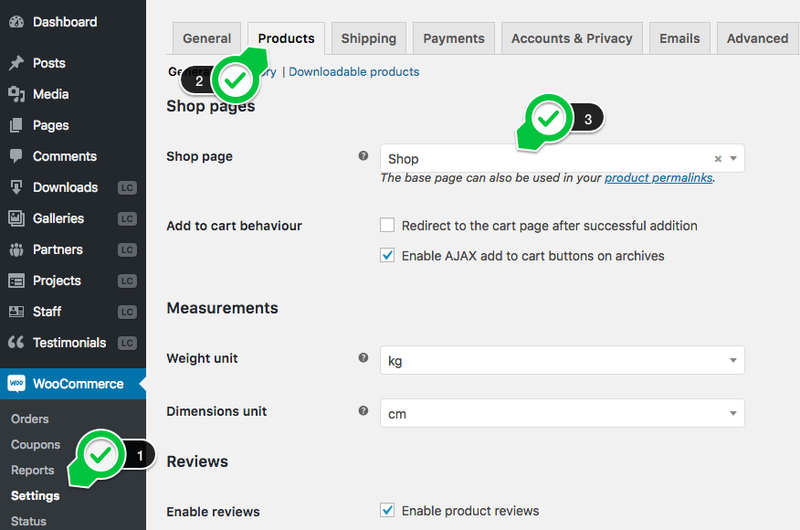 Go to WP Admin > Plugins and Install the Woocommerce plugin and follow the "Store setup" steps displayed at the plugin activation. 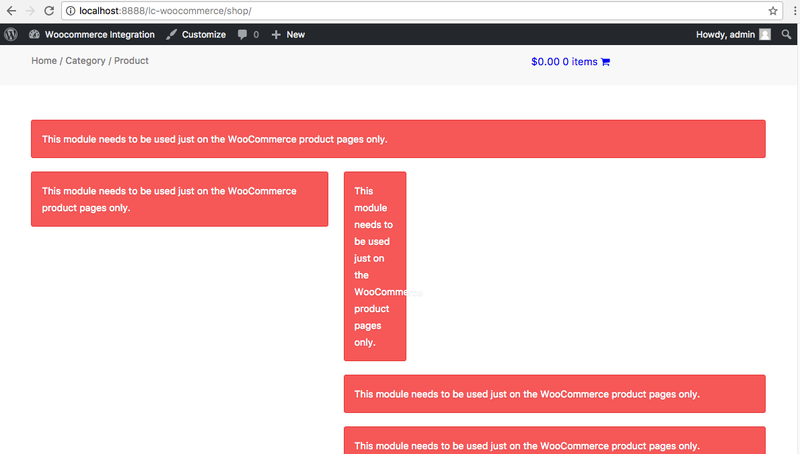 Activate the "Live Composer WooCommerce Integration" extension. For your convenience, the "Live Composer WooCommerce Integration" extension install by default three templates: for single product page, the shop and for product listing. 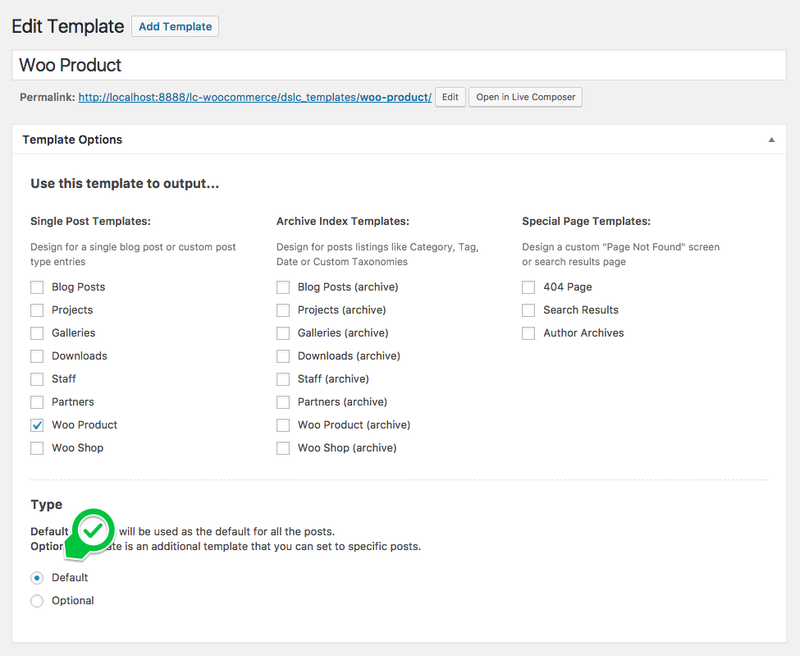 You can build multiple product templates and set them to "optional". 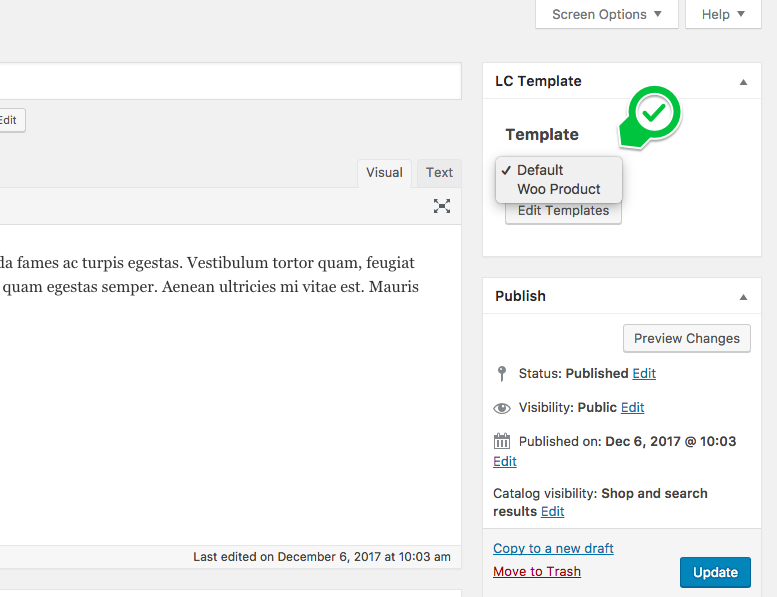 You can load these templates using the dedicated feature from the product backend editor. Q: Why my Shop page looks broken? 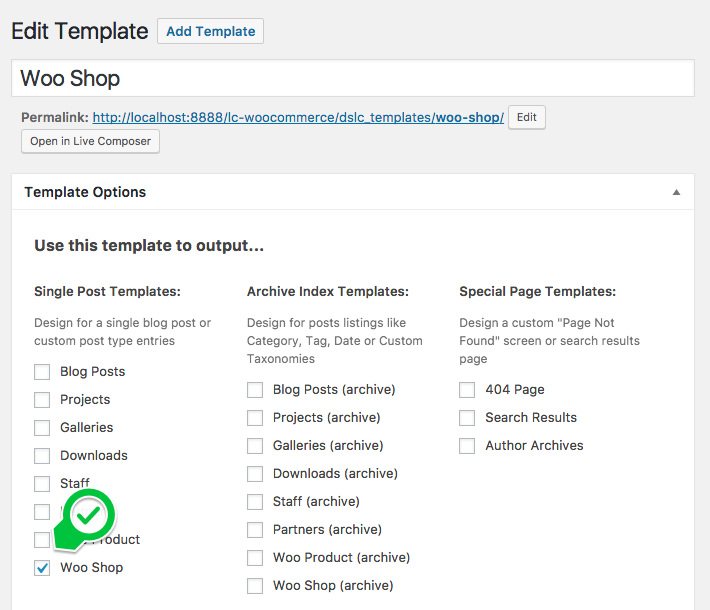 A: Please go to WP Admin > Appearance > Templates and ensure that you have a template built for the shop. Use just the shop dedicated modules. Q: I have made a shop page but how I link it to Woocommerce? 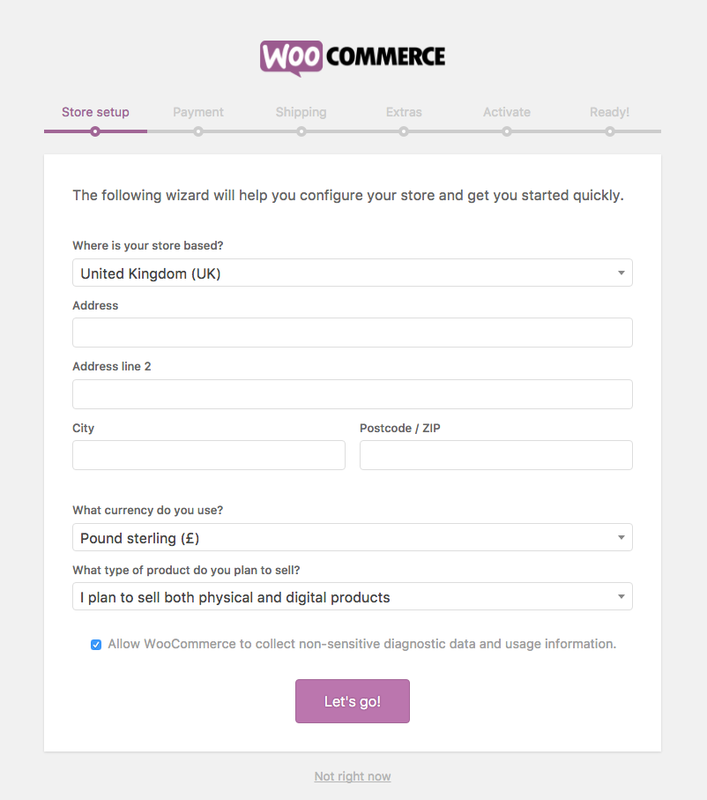 A: Please go to WP Admin > WooCommerce > Settings > Products and select your shop page.